Lateo Surveillance Ltd have carried out private and commercial surveillance assignments across the country. We are located in Durham and Harrogate operating across the North East and Yorkshire for our private clients and Nationwide for our commercial clients. We were approached by a successful local business in Harrogate who suspected an employee of absenteeism and theft from the workplace. The business was extremely professional and had carried out their own due diligence research prior to contacting a private Investigator. The managing director insisted they use a local private investigator from Harrogate whom they could meet in person to discuss their requirement and options. To the HR managers surprise the first nine companies they spoke with who had advertised they were local to Harrogate were in fact based hundreds of miles away. Eventually, we established contact and met with the business owner, MD and HR manager. During the initial meeting, we were able to help by discussing their legal obligations under the data protection act (DPA) 1998 and completed the appropriate assessments to ensure DPA compliance. The matter of ethical responsibilities was discussed in conjunction with the employer’s code of practice and their own internal processes were discussed and reviewed. The company took employee surveillance or ‘covert monitoring‘ of an employee very serious and had enforced good practice throughout the company. Prior to contacting us, they had consulted employment law specialists and the Information Commissioner’s Office (ICO). 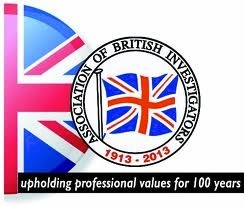 They stated the ICO were ‘extremely helpful’ and gave them the confidence knowing that providing the criteria and process was met and followed, instructing a private investigator to carry out surveillance in the workplace they would not find themselves on the wrong side of the law. We were later informed the deciding factor for them to instruct Lateo Surveillance was primarily down to our intimate knowledge of the DPA, our good practice processes and the sharing of DPA responsibilities. The biggest mistake employers make when considering employee surveillance is keeping the circle of knowledge as ‘small’ as possible. The more people who know, the bigger chance of the employee being tipped off. One of our recent fraud investigations identified senior members of the organisation including the HR manager were actively involved in a culture of fraud. 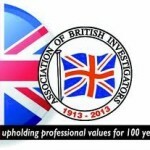 Please note: The private investigation industry is unregulated! this means ‘anyone’ can set up as an investigator overnight and advertise their flashy website with little or no experience whatsoever. Ensure a contract with your private investigator is in place. Ensure you check the private investigator is legitimate, insured, competent and operates to a code of conduct. Ensure your private investigator is registered as a data controller on the register of data controllers. Ensure all assessments are completed to comply with your responsibilities under the DPA. The investigation is targeted and conducted for no longer than necessary. Note; As an employer, you are responsible under the DPA to ensure strict compliance, this includes the ‘use’ and ‘actions’ of a private investigator you employ. This responsibility ‘can not’ be delegated and you will be held responsible if they cross the line! Lateo Surveillance have carried out surveillance investigations for many customers including; private, legal and commercial clients, we also offer an outstanding agent to agent service and used by many of the county’s biggest names within the industry. Our investigations have included personal injury, employee absenteeism, matrimonial investigations to assisting local government agencies. The business in Harrogate North Yorkshire was located within a rural environment and suited us particularly well due to our CROP surveillance (covert rural observation post) expertise. Coming to us direct will save you money! To see our Private Investigator services click on the link below.